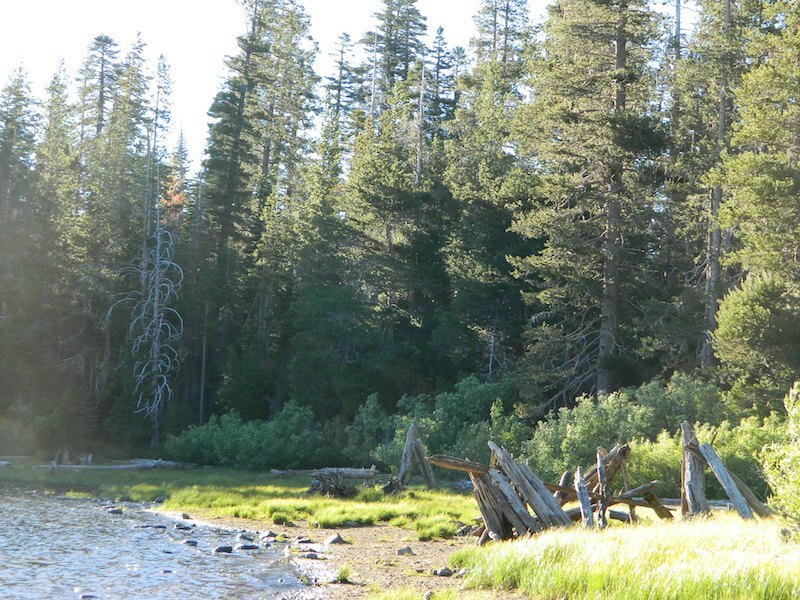 This is one of many small lakes situated within the Lakes Basin Recreation Area , in the Northern Sierra Nevada mountains. Just north of Downieville & Historic Gold Country. Snag Lake is nothing special compared to the rest of the scenic lakes close by, but it is worth a mention due to a few fun facts. 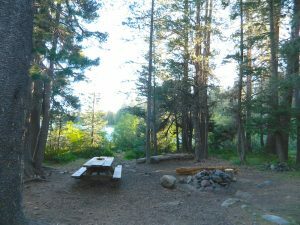 One thing this small lake campground does have is convenience, located right on the Gold Lake Highway – next to Goose Lake, plus hiking distance to the largest of the lakes, Gold Lake. 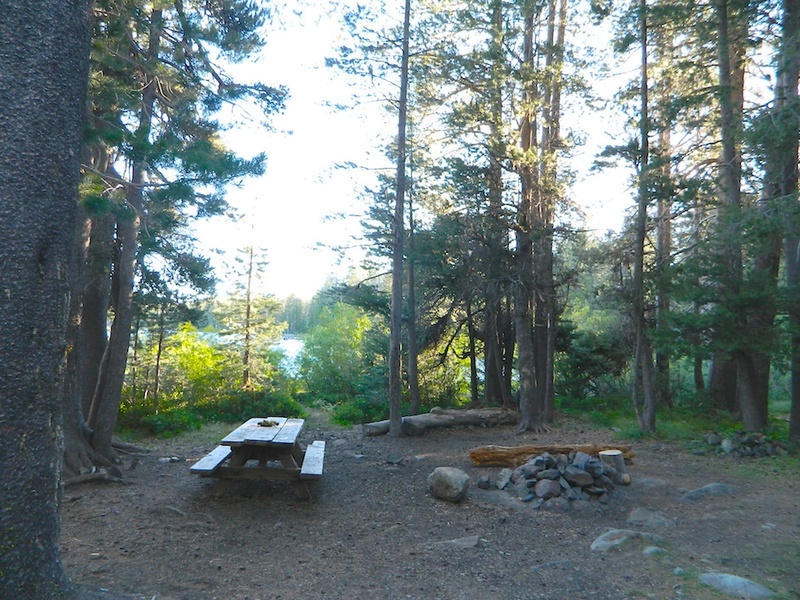 The second feature is the campground is small, 16 primitive sites, picnic tables & one vault toilet. The third thing is that this is a FREE campground; no charge. No motorized boats allowed. No paved boat ramps. Kayaks & canoes can hand launch from several spots. The dirt driveway is easily missed, especially at night. The old wooden, forest service sign is not reflective. The vault toilet is close to the highway and the camp sites are along the lake edge. No pavement anywhere! 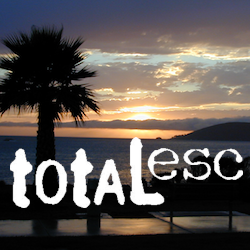 Upon arrival, camper trailers will want to get out and select the best route to a camp site. 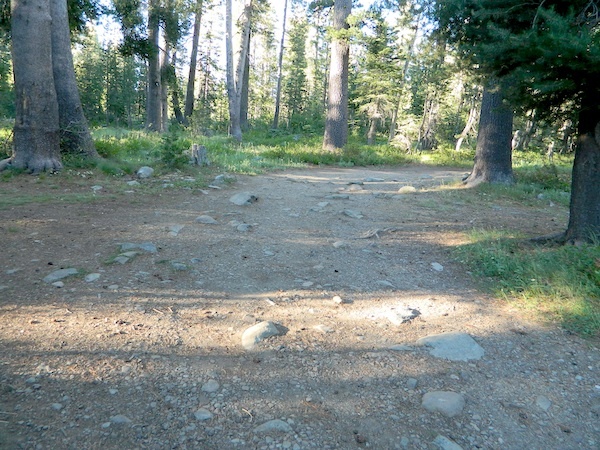 The small boulders, dead trees, root and rock obstacles are abundant on the dirt road entry, all around the campground, and at each camp site. High clearance vehicles would fair best at this camp, but some passenger cars may be able to manage the rocky entrance. Get out and look at the road, before scraping across the biggest rock. Slowly, carefully, maybe… and preferably an arrival before dark. LOCALS TIP: The wind tends to pick up at night around these lakes, so brace your tent well and position your vehicle appropriately. Obviously with a name like SNAG, you can imagine that the fishing here is not the best, since roots and old tree stumps make up a good portion of the shoreline. 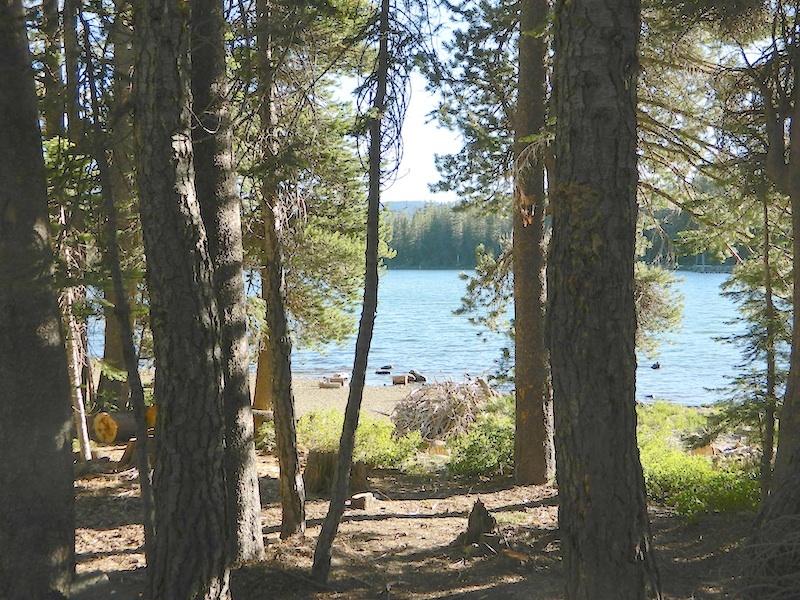 Luckily there are a dozen alpine lakes within a 20 mile radius to choose from for another fishing spot. Some lakes are hike-in only, some require 4×4 to reach and others have cabin resorts. Gold Lake Hwy (or Gold Lake Road) closes in the winter months (NOV-APRIL) due to snow and the region is used as a winter recreation area. Cross-country skiing and snow-mobiling are both popular activities.